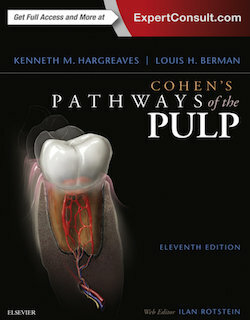 The definitive endodontics reference, Cohen’s Pathways of the Pulp is known for its comprehensive coverage of leading-edge information, materials, and techniques. It examines all aspects of endodontic care, from preparing the clinician and patient for endodontic treatment to the role the endodontist can play in the treatment of traumatic injuries and to the procedures used in the treatment of pediatric and older patients. Not only does Hargreaves and Cohen’s 10th edition add five chapters on hot new topics, it also includes online access! Format: PDF, 1143 pp., 2016 yr.